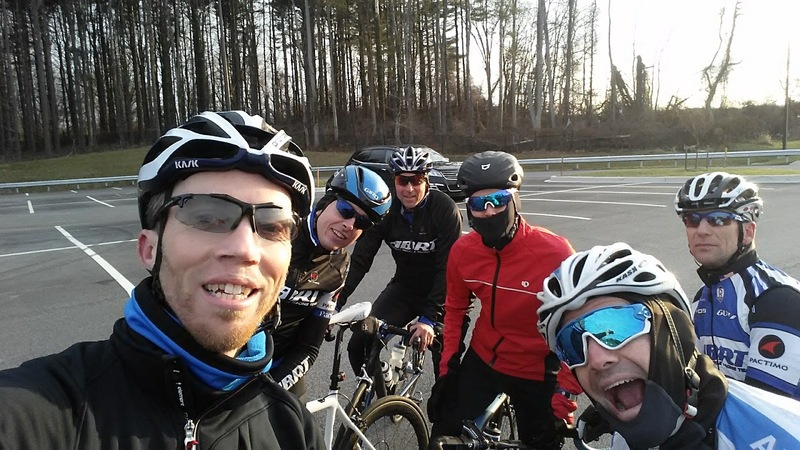 The Ramblings of an Endurance Junkie: January 2017: Training Ramblings...getting ready! January 2017: Training Ramblings...getting ready! Coming off of a great 10 days in Spain over the holiday period the key to January was to build on that work and above all keep the training consistency. My sole focus for the first part of the year is to regain the bike strength that served me so well in the first half of 2016 (before the back half got derailed). 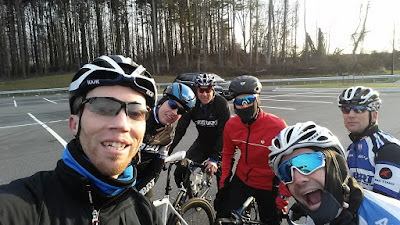 The New Year started off well with the first annual #stokedlife century ride into the depths of South County! I must be getting old if I skip a late night celebrating the New Year to go and ride in the morning....the only troubling item was a short lived SVT episode during the ride after nothing in the past few months. In hindsight it was probably due to a lack of hydration post transatlantic flight etc (in the month since there have been no further episodes while continuing to keep on top of my hydration levels). As mentioned the goal for January was to be consistent as the first races aren't until mid/late February with the 'A' races in April and May....you don't want to be a January star! As a result the month was solid, not wild or crazy but certainly heavier on the bike. Winter time is always bad for me in terms on swimming, getting up early in the dark and cold isn't my idea of fun and I decide that additional sleep in probably a better use of my time. There will be plenty of time for pool work as the Spring comes around. That's not to say I don't swim, just not a lot. Towards the end of the month it was time to FTP test again and after the work in Spain and early January I was expecting to see some significant gains from the test in early December which produced an FTP of 296w. For the January test I took a slightly different approach to usual. I normally do the test on the emotion rollers with my Quarq power meter and aim for a gradual increase in power over the 20 minute test. This time I took part in the Parvilla Cycles indoor Time Trial on the computrainer over a rolling course. I wasn't sure it was going to work that well due to the notable downhills on the course where it is harder to push the higher consistent watts. However, it worked out quite well, the course took me just a few seconds over 20minutes so perfect on the timing and my average watts (per my powermeter) was 332w with an FTP of 316w (95% of the average). It was a different way of testing and it worked for this course but I'm not sure if I would do it again as it really needs the right course. PT's Coffee: Marcala Organic: This medium-light roasted coffee features a nougat and cocoa nib aroma, round body, and juicy acidity. When brewed it has notes of honey with a tangerine sweetness and a finish of roasted pecans. Café Organica Marcala (COMSA) is an association of small-scale organic coffee producers located in the La Paz region of western Honduras.